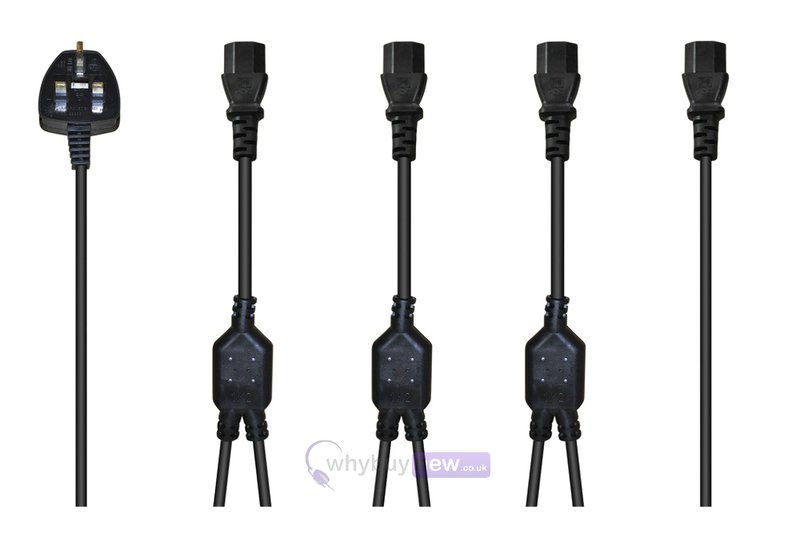 A black 6.5 m extension lead with 4 x IEC plugs spaced at 1.5 m intervals terminating in a UK Mains Plug. 6A maximum load. Bought for my hi fi set up as they use these plugs . Now my whole stack is on one plug top and less messy. Great lead, used it to plug in four lights on the over head rig worked a treat. Extremely good quality cable and great for lighting truss and the gorilla gds stand overhead kit. Fast shipping received 2 days later in Ireland. 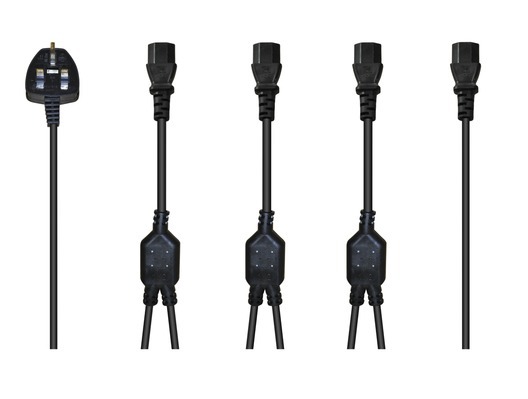 brilliant handy cable that is suitable for any lights on the bar especially if you have 4 separate scanners.